The Psychological Defense System. The Six Domains of Attachment-based Therapy. 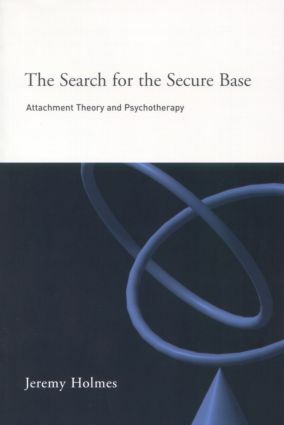 Attachment Theory and Psychoanalysis - Finding a Common Language. Attachment in Clinical Practice. An Attachment Perspective on Change in Psychotherapy. Disorganised Attachment and the Basic Fault. Attachment and the 'Storied Self'. Narrative, Psychoanalysis and Attachment. Abuse and Trauma - An Attachment Perspective. Art, Attachment and Psychotherapy. Money and Psychotherapy. Endings in Psychotherapy. Jeremy Holmes is Consultant Psychotherapist in North Devon and Senior Lecturer in Psychotherapy in the University of Exeter. He is current chair of the psychotherapy faculty of the Royal College of Psychiatrists. He is the author of over 100 papers and book chapters as well as 10 books, including the acclaimed John Bowlby and Attachment Theory and Introduction to Psychoanalysis, with Anthony Bateman.